Fly via private jet to France this June and gear up for the 24 Hours of Le Mans! 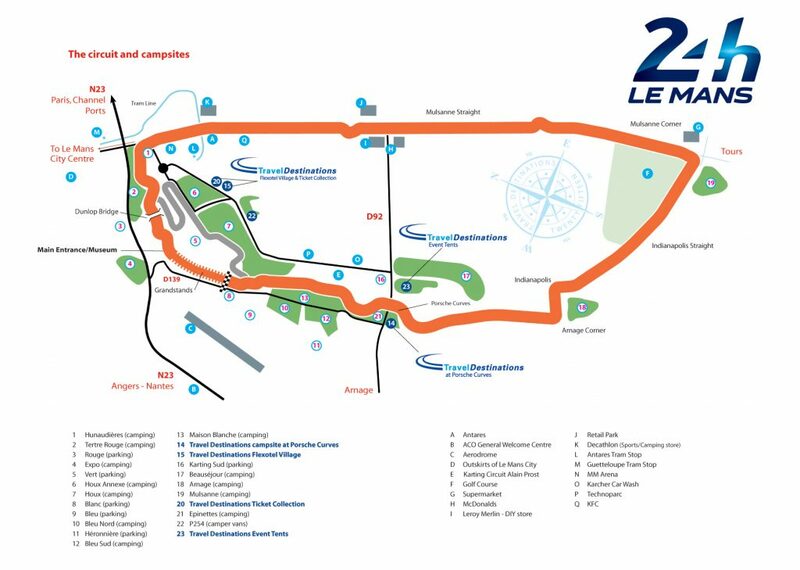 The 24 Hours of Le Mans is the world’s oldest endurance race, held annually in the city of Le Mans, France since 1923. Le Mans is one of the most prestigious and renowned events in racing, joining the Indy 500 and the Monaco Grand Prix to form the Triple Crown of Motorsports. It’s sometimes referred to as the “Grand Prix of Endurance and Efficiency” from the grueling demands placed on drivers and crew, and its popularity has inspired similar endurance events in motorsports meccas such as Daytona, Nürburgring, Spa-Francorchamps, and Bathurst. The ultimate 24 Hours of Le Mans experience can be found at the Michelin VIP Hospitality Pavilion. Starting at around $1650 per person, you’ll enjoy access to the track-side pavilion (3 meals included), VIP shuttle service to the best viewpoints around the circuit, a guided tour of the Michelin tire workshop, a helicopter tour over the track, a Michelin welcome gift, and last but certainly not least – an open bar throughout the race weekend. Our team can arrange your private flight to land at (LFOT, TUF) Aeroport Tours Val de Loire in the city of Tours, France, located about an hour south of the Circuit de la Sarthe. After you arrive, we can arrange ground transportation to bring you to either your hotel or preferred destination. When you book a private flight, you’ll notice the increased efficiency, flexibility, comfort, privacy and peace of mind compared to the madness of commercial flights. By skipping long baggage lines and time-consuming security checkpoints, you’ll pull directly up to your private jet and board – with an average wait time of 5-10 minutes at the typical FBO, you’ll be on your way in no time. Private aircraft also have the ability to land at over 10x the number of airports as commercial flights, allowing you to land closer to your destination. Request a Quote or give us a call at 1-888-987-5387 to speak with one of our Le Mans private jet service brokers to arrange your private flight to the 24 Hours of Le Mans this June.